11/09/2018 /in Work with us /by Cyberdyne s.r.l. As an employee of the Artificial Intelligence company Cyber Dyne, which is part of the GELLIFY portfolio, you will join a fast growing and challenging team of talented people. You will face great career opportunities, in a young and dynamic environment. 16/03/2017 /in News /by Cyberdyne s.r.l. Optimization processes are an essential element in many practical applications. 10/11/2016 /in News /by Cyberdyne s.r.l. Only three days to go before the SC16 Conference, the International Conference for High Performance Computing, Networking, Storage and Analysis. 02/11/2016 /in Work with us /by Cyberdyne s.r.l. Cyber Dyne is looking for a talented software engineer with a solid experience of Java and Eclipse RCP development to become part of the development team in Pescara, Italy. Recent graduates with outstanding academic records are also encouraged to apply. 01/11/2016 /in News /by Cyberdyne s.r.l. Concurrent design, process integration and optimization on demand have never been so easy. 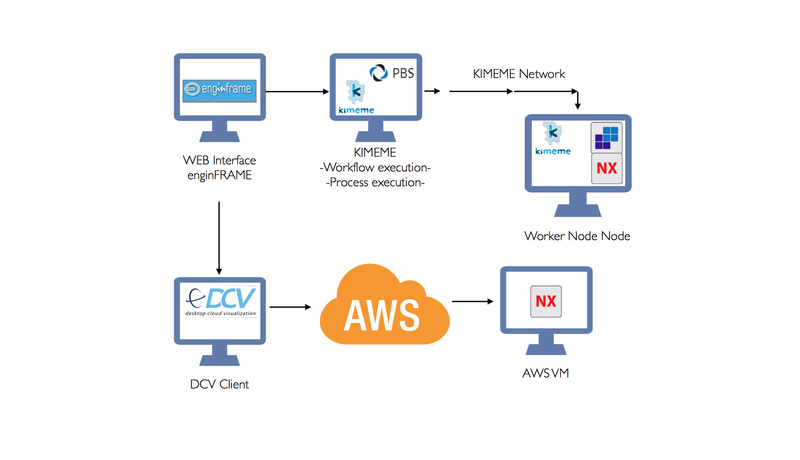 By leveraging the deep process integration and graphical workflows featured by Cyber Dyne KIMEME, you can now execute on NICE EnginFrame complex CAD/CAE workflows, through the browser, with ease.